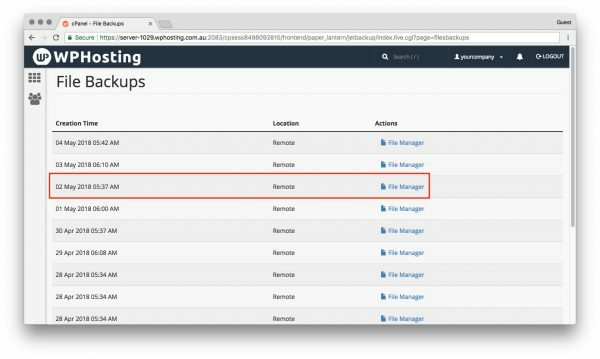 This topic covers processes relating to the operation of a cPanel service, if you cannot access your service – first follow this guide before continuing. 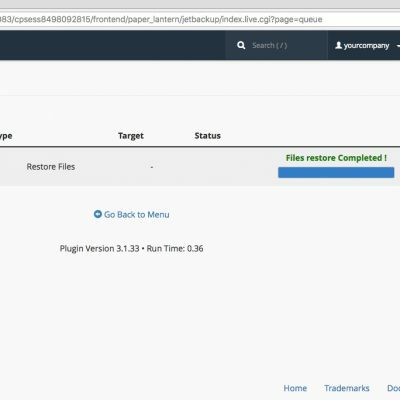 Example: Let’s restore our WordPress config file to yesterday’s version, which can be done using ‘File Backups’. 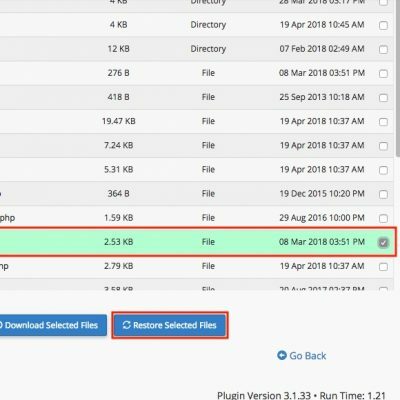 Click ‘File Backups’, then find the date of your choosing. Once chosen click ‘File Manager’ in the ‘Actions’ column. 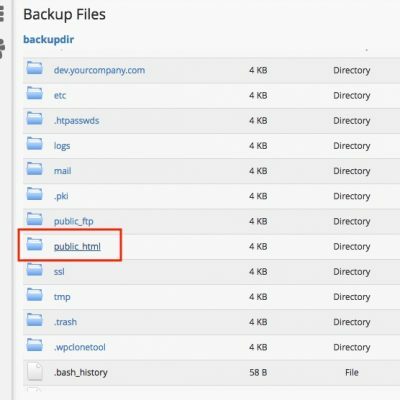 After a few seconds cPanel will connect to the backup server and list the files available. Navigate through as normal by double-clicking a folder, and you can navigate back again using the breadcrumb menu. After you’ve found your file(s) use the checkbox to select them, and finally click ‘Restore Selected Files’. Accept the warning statement indicating the files will be overwritten, and click ‘Restore’. 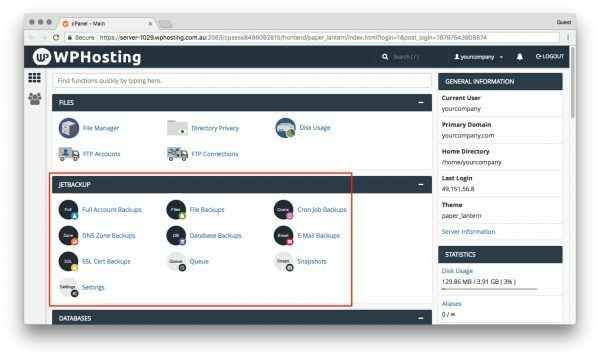 Use the WPHosting logo in the header to navigate back to the cPanel homepage. 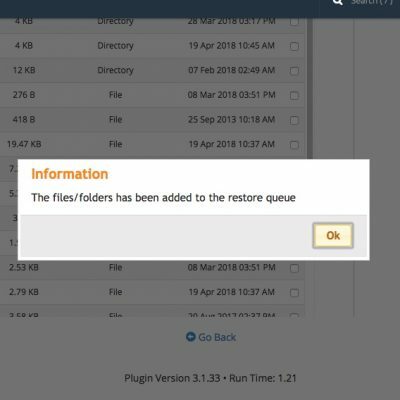 You can also monitor the progress of the restoration using the ‘Queue’ option. 1. 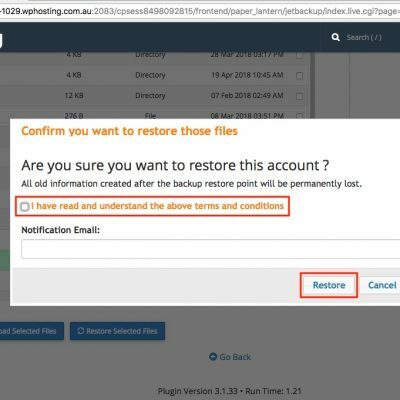 Example: Let's restore our WordPress config file to yesterday's version, which can be done using 'File Backups'.